With just a few weeks to go until the release of Justin Lin's Star Trek Beyond, Paramount Pictures has released the first official clip for the highly anticipated sequel. Along with the first clip is some cool character videos and a cool new TV spot. Check everything out below and then sound off in the comments section with your thoughts. "After stopping off at Starbase Earhart, a remote outpost on the fringes of Federation space, the USS Enterprise, halfway into their five-year mission, is destroyed by a powerful, unstoppable wave of unknown aliens. With the crew stranded on a unknown planet and with no apparent means of rescue, they find themselves in conflict with a new ruthless enemy who has a well-earned hatred of the Federation and what it stands for." The film is directed by Justin Lin and stars Chris Pine, Zachary Quinto, Zoe Saldana, Karl Urban, Simon Pegg, John Cho, Anton Yelchin, Idris Elba, Sofia Boutella, Shohreh Aghdashloo, Deep Roy and Joe Taslim. 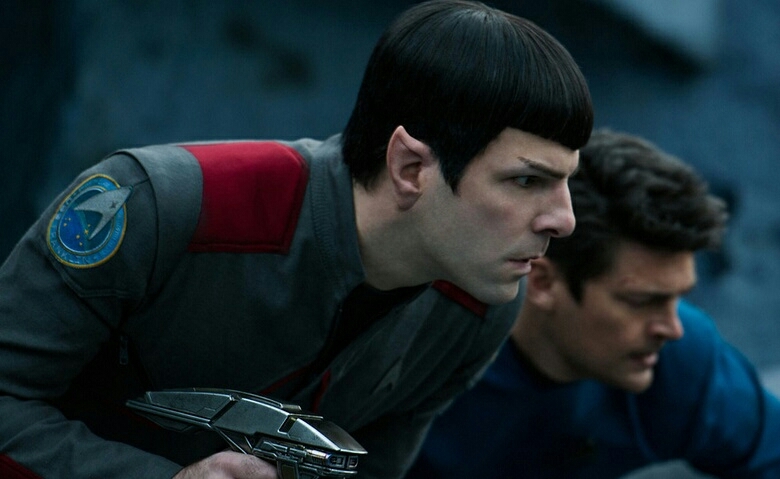 Star Trek Beyond is set to hit theaters in July 22nd.